CBRE Group, Inc., the world’s largest commercial real estate services and investment firm, is committed to responsible business practices. We create Shared Advantage through an integrated program of environmental and social actions that generate sustained growth and continuous opportunity for both the company and the communities we serve. Our 2015 Corporate Responsibility Report highlights our accomplishments and milestones in each area of our corporate responsibility program, including environmental sustainability, people & culture, health & safety, communities & giving, procurement, ethics & compliance and governance. 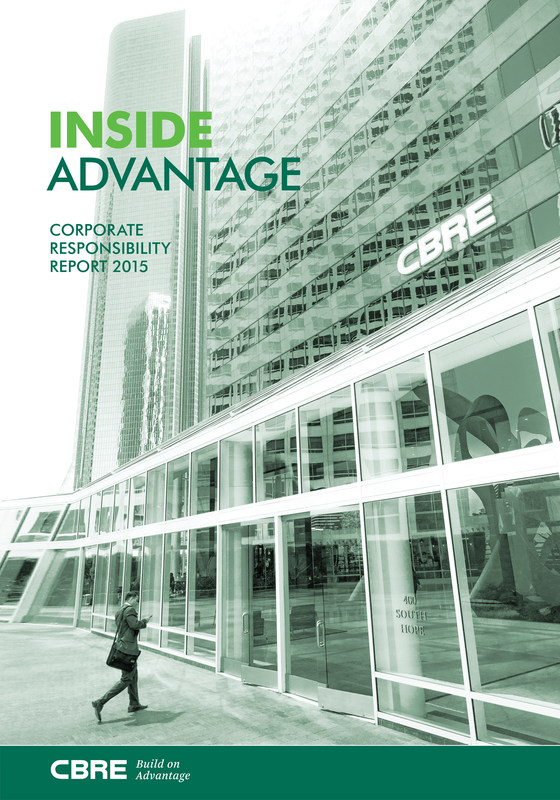 Learn more in CBRE’s 2015 Corporate Responsibility Report.